Seagrams VO is a blend made of Canadian whiskeys of at least 6 years old. In 1911, changing the name to "Joseph E. Seagram and Sons, Limited". His sons, Edward and Thomas, began to take an active role in the company. That year, the company released another new brand, Seagram's VO, to celebrate the marriage of Thomas Seagram. The idea for the blend that makes up VO was developed during an after-dinner conversation with his sons. 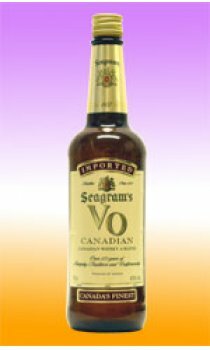 VO probably stands for "very own," as this was a whisky blend that Seagram created for his own family.